HOW TO GET CLEAR ON YOUR VISIONS & GOALS? As we explored sufficiently last week, we highlighted the value of having a vision, or a dream in a way that we need to be clear about what matter to us. If you want a quick refresh on the power of having a vision please check it out here. Now the question that I get with clients is about clarity on what matters to them. It occurred to me that after talking to few clients-Getting that clarity was indeed the first real work and it is not always easy as one might think. How Do you get clear on what matters to you? It does seem like a trivia, but as you would see below the certainty that you’ll have after reading this. I figure I want to spend some time to help on this topic since this part of us owning our power is very important. In fact, I have heard that there are two important days in someone life -The day you are born AND the day you find out what you are born for. 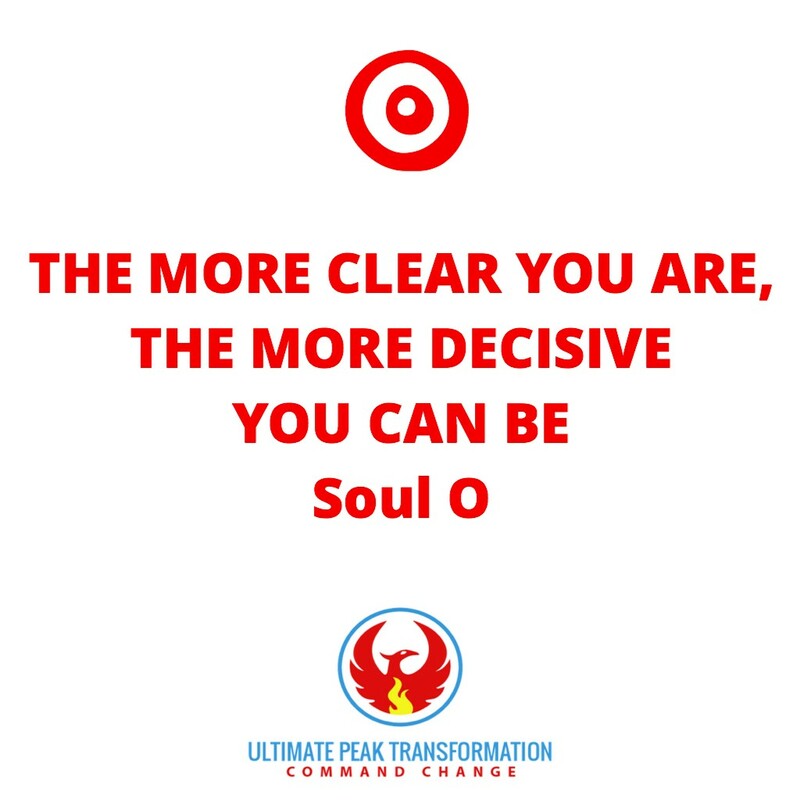 That is usually extrapolated to one’s life purpose sometimes, and the reality is regardless of where this might apply (vision, dreams, purpose, goal, intention etc.…) the significance of getting the clarity of what matter to you is life transforming. In the earlier post we reviewed the importance of having a vision. What I think is the best translation of that- is clearly the title- Are you clear on what matters to you? The perspectives I’m going to share below will be helping you at any moment of doubt when you are looking for clarity in what matters to you. what I found is that the process to create a vision is made easier when you are clear on what matters to you. Now please note here two major components in what I’m sharing above- the concept of clarity and the concept of what matters the most to you. These two elements are critical elements to have your vision crystal clear. Why don’t we start with the roots of what’s needed to be clear? Clarity stem from Latin- claurus, which means to make it understandable; the attribute of what we’re looking to clarify is sharp, well defined, lucid and ultimately it permeates the quality of being coherent. Clarity enables faster distinction; and faster distinction allows faster decision-making skills, faster decision skills allow freedom of choice, which provide more power. So, if that is the case, we can say that clarity is the quality that allow a faster way to organize the content of the information you want to act on; which further allow for more coherence. I want us to not miss this point above- the relationship between clarity and the power of decision. Clarity and the power to be decisive are inextricably linked. In his twenty-five years of research, Napoleon Hill (in Think and grow rich) finds out after studying the most successful people of his time that “Successful people have the ability to quickly make a decision and work on it while average people have harder time to decide and are slow to make a decision”. Why is this relevant to you- it’s because of this simple fact that I eluded earlier. The clearer you are about what matters to you, the more you are clear about what you want and who you are; In fact, that’s the secret sauce of the most successful in our planet- indeed – they are fanatic one way or another about that clarity on what matters to them (Whether it’s their dreams, their visions, BUT most importantly who they are and why it matters to them). They know what they are standing for and what are their boundaries; this all about that clarity and distinction. I wanted to pause here, because this is NOT just anecdote, BUT it’s rooted in science as it’s been proven nowadays from social sciences and psychology. 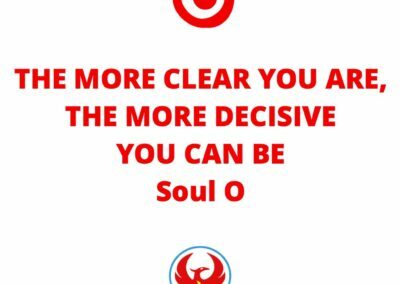 We make decision based on our references- in one sentence there’s no such thing as objective decision- there’s only subjective decision- because we make decision based on what we know (whether conscious or unconscious). This is why, the most successful people are quick to decide, because as shared earlier, the successful people are clear about what matters to them; and as we saw, earlier the clearer we are, the more decisive and fast we can be in our decisions. So, it’s Not a secret that the successful people are quick to make decision because there are clear about what matters to them. Let’s look at it from even a different further angle-Physics. This is probably one of my favorite view point as the world #1 Human Engineer. As we are all aware, we live in a world where everything is Energy; which means everything vibrates. Like tuning to different radio stations, allows us to access programs, we are always tuning in to different frequencies in our lives at each moment- because there are different frequencies. In that way, our thoughts and our state are emitting a certain vibration based on our emotional states and the thoughts we carry. Similarly, the precision needed from us on what we want is necessary due to the law of vibration. The stronger the signal, the stronger the content, the further it can travel. The more pronounced and distinct it is, the more it becomes understandable. Our homework in this human experience is to train our attention, and metacognition so we can fully be exercising our gifts and ability of co-creating our realities. For those reasons, the vision, goal, dream must be well defined, explicit, prominent, definite, distinct, precision. That’s What Napoleon Hill call as his number #1 findings in all the successful people principles-The definiteness of purpose. Which is why the second principle is to be remembered- specificity is important due to the law of the vibration that permeates everything. This law can be empowering or it can be enslaving us based on our awareness and our skills to exercise our metacognition. The Most important gift in our human experience is the ability for us to train our METACOGNITION capacity every day. Why this matter to you? It’s because with polarization we can get clarity faster. 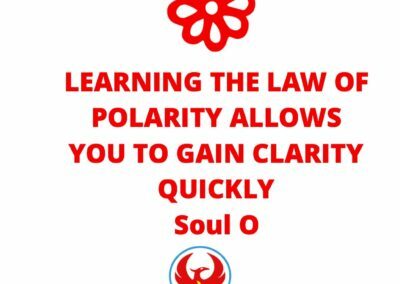 Learning the law of polarity allows you to gain clarity so quick. With that law we can find out quickly our vision and or what matters to us. Getting clear on the vision is NOT a simple task for most people because, we’re wired to notice what WE DO NO WANT so we can survive. 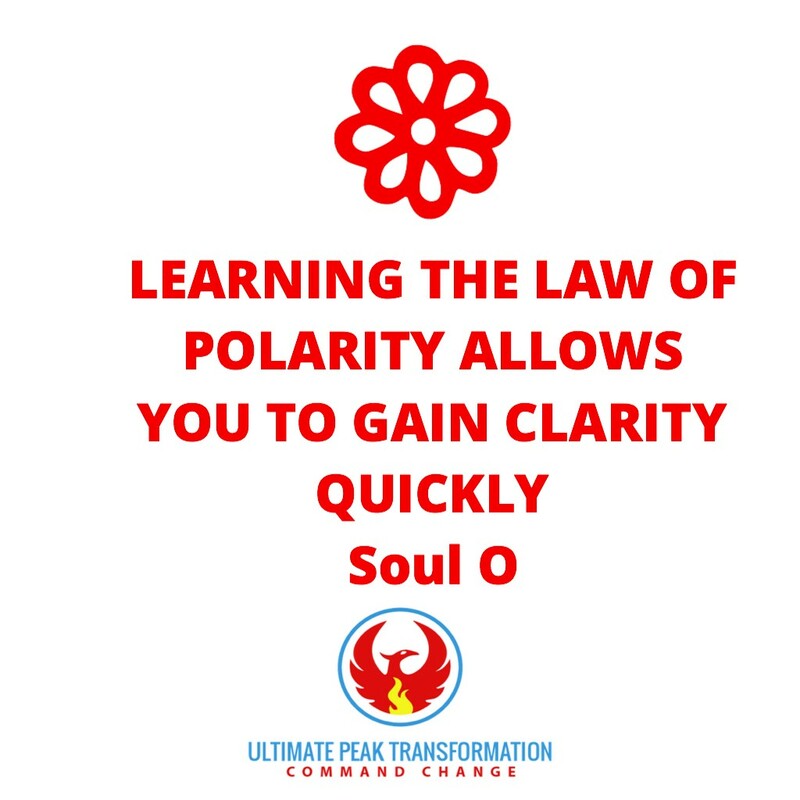 As we understand what we don’t want, we need to pivot on what we WANT; in this case the law of polarity invites us to connect through our heart via our head. How clear are you on what matters? The law of polarity allows us to tune into what we don’t like and what we love. Theses to energies are the two extreme of the same-What would you love AND what do you hate or would like to see changed? What would you love is the best question to get us connected to what get us most passionate- that question connects us to what brings us MORE life. The idea is that we want to get polarized to find the pull and to create the distinction. Because our desires are possibilities seeking expression or function seeking performance. Yes, The Buddhist or eastern philosophy shares that Desires are the sources of All our “suffering”. I rather like to look at it from the perspective of connecting to source from a genuine perspective, where the desire is coming from a love intention rather than that just pride or gluttony or vain narcissistic. Deep down if we truly connect to what matters to us, you are building the curriculum of your own growth for the next attainment of the better you. As a side note this is why, therefore extreme situations and events have been memorable and they make it easier for people to be clear on what matters to them. As people get strong emotions (whether positive or negative let’s say through trauma sometimes), they can draw strong boundaries. That’s the case of Victor Frankl in man’ search for meaning, where in the death concentration camp he made a decision that what matters to him was to “live” and survive so he can tell the story and especially created the logo therapy sum up in the last frontier of human freedom- “The ability for human to choose their own attitude”. We do not need to get into traumatic incidents to learn about what matters to us. For example, early pioneer entrepreneurs- Bill Gates, Richard Branson, Steve Jobs, Michael Dell, all these iconic billionaire and school dropout knew with clarity what matters to them; that’s why they could identify at a very young age their drive. In fact, that’s why it takes Mid 40’s for a lot of men (or so called midlife crisis), because they are looking for clarity about what matters to them when they will be coming out of this life form and human experience- That’s the mortality drive. Finally, I hope it made sense to see the importance of why and how to create clarity in our vision. In the end let’s get some practical tools that could be used to help further this work. The simple act of writing it down, helps embed it in our subconscious mind and we can always easily revisit it at will. In that way we’re freeing our mind power to not worry about memorizing it actively. What Would I love and What Do I hate (What would I love to see change). Does your vision give you more life? Does it align with your core values? Does it give you opportunity for growth? Does it require help from multiple sources (beyond yourself)? Will that dream benefit others as well? I love these practical questions to “test” your visions when in doubt. Could you picture yourself during your memorial services people delivering an Eulogy for you? What you want people to say about you- what you represented for them? What did you help people become? When you look back at your life- would be able to say- I did it my way? I would do ALL it again. What would matter to me. Another twist of that is to ask yourself if You had only twenty-four hours left to live would you prioritize what matters to you. I don’t want to end this blog these with scary thoughts, as my intention is to provide tolls and insights that gives you more life; but the reality is that when we know the end we get more power as the how becomes built in based on the end. What I really want to share here is how to intelligently ask and how to get clarity in your vision. And I will end with this quote from MLK Jr. So, let’s make sure that we keep revisiting what matters to us- it’s a verb after all. What matters to us evolve as we grow even though the core doesn’t change. To prelude in the next share, we will explore how to further amplify that vision-one hint- Can you picture your vision? To complement your understandings, you can watch video here.